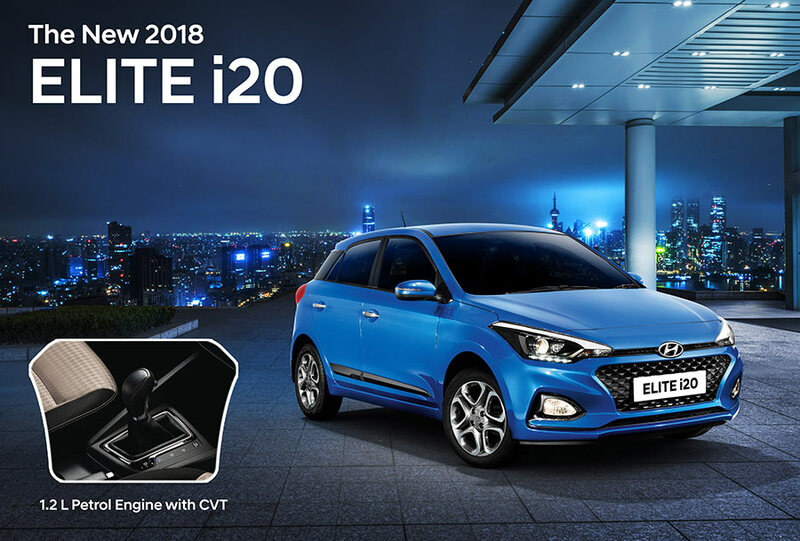 Hyundai Motor India Limited, the country’s second largest car manufacturer and the largest exporter since inception announced the launch of 1.2 Petrol Engine with CVT option in India’s most loved and Iconic Premium Compact – ‘The New 2018 ELITE i20’ that embodies Hyundai’s Modern Premium offering for the global customers. The Premium High Compact Segment in the industry is growing year on year from 4.5% sales in 2014 to 13% in 2017. The sales of AT and CVT options in the premium compact segment has grown from 4% in 2015 to 14% in 2018. The Premium Compact Customer Survey by Hyundai revealed higher acceptability towards Automatic Transmission, 41% of respondents preferring automatic due to ease and hassle free driving in city and highways. The New 2018 ELITE i20 comes with premium interiors, highly advanced features, appealing looks and latest technology. The new CVT engine comes with linear driving force and no shift jerk for smooth and comfortable drive. The 1.2 L Petrol engine with CVT option offers convenient clutch-less drive and no physical gear shifting makes it ideal for city, highways and hilly terrains. Diamond-cut Alloy Wheels together make a blend of intrinsic and intuitive beauty creating accord between a sporty front and bold rear completing the Premium Compact design. The New 2018 ELITE i20 comes with First-in-segment Dual Tone exteriors with Red and Orange interior colour packs to further boost sporty styling of the New 2018 ELITE i20.